Sew With Sarah is celebrating our 40th Anniversary this year! As many of you already know, I learned the Oriental Method of Pattern Making while on a military tour to Taiwan with my husband and family. A young Taiwanese woman we met at church offered to help me get registered at a local pattern making school and attended the classes with me as my interpreter (you can read all about it here). Sarah started her “Sew With Sarah” business in 1975. Starting with just one book, “Sarah’s Key to Pattern Drafting”, and a long list of people wanting that book, Sarah now has over 35 sewing, pattern making, pattern make-over, craft, quilting, embroidery, sewing machine repair and general how-to books available. Sarah Doyle, author of “Sarah’s Key To Pattern Drafting” has taught pattern drafting classes all over the country, to the general public as well as “for credit” classes for home economics teachers. 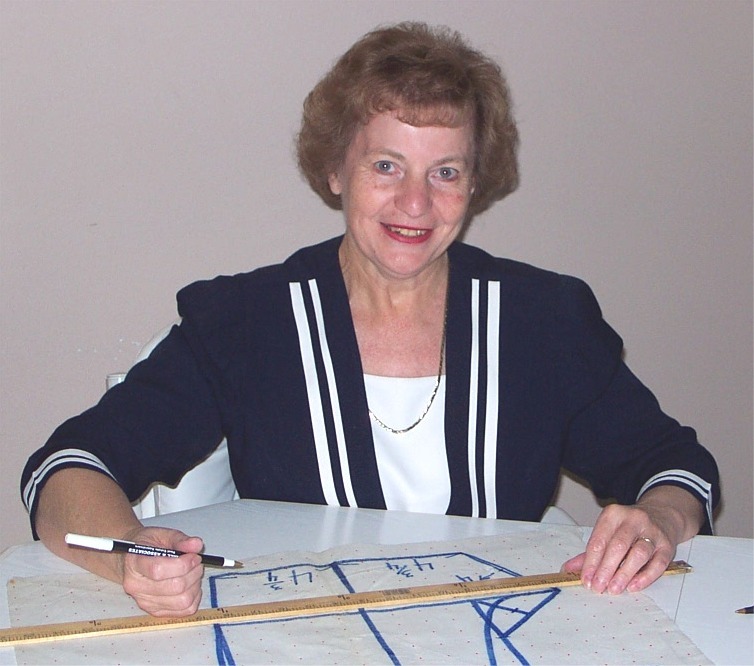 She then made the classes available by mail order so those who could not attend her classes would also have the opportunity to learn pattern making. With the internet explosion, a fast paced society, and so little time for organized classes, Sarah once again filled a real need for the sewers around the world by painstakingly setting up and making available online every class, book and pattern she has available. Online classes are convenient – simply download the class of your choice and work on it at your own pace and in your own place! The variety of pattern making, pattern make-over and sewing/craft/quilting classes and patterns that are available will keep you busy for quite some time. Choose whichever class you want and never have to worry about the class being cancelled or problems with your own schedule that won’t allow you to take part in the class. 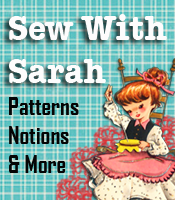 We would like to thank all of our customers and loyal supporters for allowing Sew With Sarah.com to be your pattern and pattern making headquarters all these years. We look forward to serving you for many years to come.